Stateline reporter Melissa Maynard had a nice synopsis this week on where the conflict with the Hawaii teachers union stands and a bit on how we got to this point. She talked to a Maui teacher who feels HSTA may have no other choice at this point but to call for a strike. There’s also some interesting stuff from a UH union guy who has concerns about the precedent the standoff could set. Other public sector unions are watching the drama unfold with trepidation for their own futures. But support for the teachers is far from universal among those unions. J.N. Musto, executive director of the University of Hawaii Professional Assembly, which represents the state’s public higher education faculty, says the Teachers Association’s legal strategy and tactics come with major risks for all public sector unions. He’s worried about a potential backlash in the legislature aimed at curtailing the scope of collective bargaining rights in Hawaii or putting an end to them altogether. Major changes to the scope and structure of collective bargaining in Hawaii would involve a vote of the people because they would require constitutional amendments. via Stateline: Teacher Union Contract Conflict Escalating – Honolulu Civil Beat – Hawaii Education Blog. HONOLULU (AP) — Hawaii’s teachers union has approved a new contract that members overwhelmingly rejected earlier this year. Hawaii State Teachers Association President Wil Okabe told The Associated Press on Wednesday that the contract was ratified with two-thirds of the vote. Rejection of the contract would have authorized union leaders to call for a strike. It’s not clear whether the state will accept the union vote. Hawaii Gov. Neil Abercrombie has insisted the agreement rejected in January is no longer valid and new negotiations are required. Officials on both sides hope a new deal will prevent Hawaii from losing $75 million in a federal Race to the Top grant for education reform. Officials in Abercrombie’s office did not immediately return messages seeking comment from The Associated Press. via Hawaii teachers approve union contract. 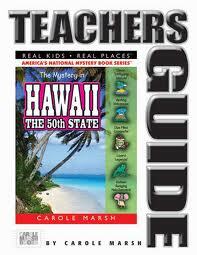 Hawaii’s teachers union is asking members to revisit a contract they rejected in January. Hawaii State Teachers Association President Wil Okabe said Thursday no public sector union in the islands has ever asked its members to cast ballots on a contract they’ve already voted down. He says the contract is the best the union will get. Without the contract, he says the union won’t have a say in new teacher evaluations reflecting student performance the state is developing. via KPUA.net – KPUA Hawaii News – Hawaii teachers union to revisit rejected contract. HONOLULU (WTW) — Hawaii’s teachers union has embarked on the unprecedented move of asking its members to revisit a contract they rejected earlier this year, as part of an effort to prevent the state from losing a $75 million federal grant it received to carry out education reforms. Wil Okabe, the president of the Hawaii State Teachers Association, said Thursday that asking members to vote again on a contract they dismissed in January wasn’t a decision the union’s negotiators and board arrived at lightly. via Hawaii teachers union to revisit rejected contract | Wisconsin Rapids Daily Tribune | wisconsinrapidstribune.com.